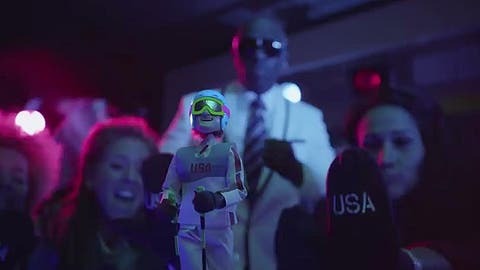 JCPenney is showing off its Olympic spirit with a catchy remake of Blackstreet’s mid-90s hit "No Diggity" — remixed in the key of gold-medal skier Ted Ligety and Team USA. 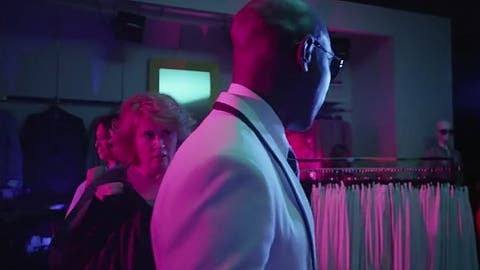 Appropriately called "Go Ligety," the music video features C-Black of Blackstreet and a minivan’s worth of dancing JCPenney shoppers as they show off their fine clothes and even finer moves in and around the department store. ‘Find your fits. Get yo’ mitts.’ Lil’ Ligety gets support from C-Black and the ladies. Other lyrical gems include: "There is no better way / to say hooray / for Team USA" and "By no means low key / Like a podium in Sochi." 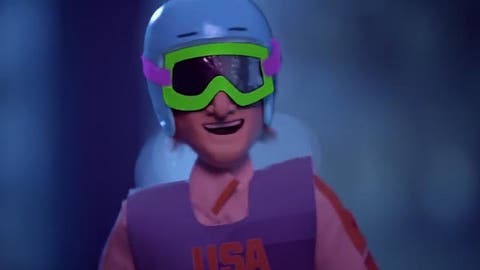 While Olympic champ Ligety doesn’t make a special appearance (there are just shots of him from different ski events), his puppet doppelganger, a smiling Lil’ Ligety, swoops in on his behalf and scores a gold medal with the ladies. So does C-Black, who at one point looks as though he’s getting undressed by this, um, particularly voracious-looking JCP shopper. Check out the video below. "We can’t get it out of our mind. / We’re cheering for Team USA all the time!"